Although it is clear that organic wine is a welcome change, it still doesn’t possess a legal status and ingredient labeling standards are rather poor. This means that it’s unclear what can “properly” be labeled an organic wine. Fortunately, most organic winemakers are strong believers in transparency, which allows the broader public to have insight into their winemaking process. 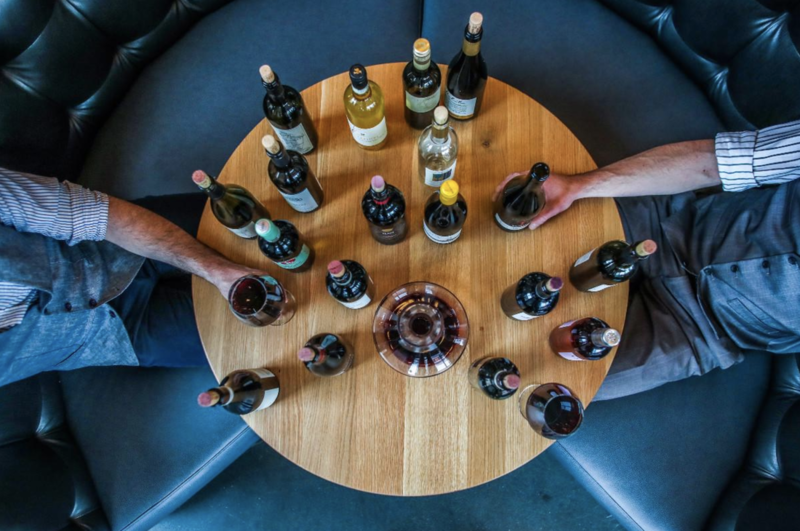 First of all, natural wines are farmed organically and sometimes biodynamically, deviating from the way paved by the modernization of the agricultural industry. This disruptive model has taken off in many countries and new artisan hubs are sprouting like mushrooms after the rain. Take the example of the landscape of organic wine in Australia. The natural practices there are driven by bustling artisan communities such as Adelaide Hills. They have earned a global reputation by now, and products from all over the vast country are hitting the racks worldwide. You don’t have to travel to the picturesque countryside to taste organic wine. Also, in cities like NY, you can find restaurants that take pride in their natural lists. ​Furthermore, the organic winemaking revolves around eliminating additives and chemicals, many of which are not even indicated on wine labels of other commercial products. What is more, most organic winemakers do not use gadgetry to manipulate the grape juice. In a nutshell, nothing is added and nothing is taken away from it. There are no filtration methods or sulfites we come across in many cellars and they don’t use pesticides. Vineyards produce grapes, they are fermented, then poured into bottles, and finally find their way to you. It is as simple as that, no caveats. Hence, the origin story of an organic wine reads like a haiku, not an SF novel. The best way to dive into the world of organic wine sipping is to crack open a bottle and indulge yourself. You cannot be 100% positive in terms what you are drinking, but if you know the winemakers and how they engage in production, you’ll have a peace of mind. In any event, note that once poured in a glass, natural wine is cloudier, due to the lack of filtration. Upon your first sip, you should be able to notice that the taste is brighter and lighter. You could say that it speaks volumes about where it comes from. Some people would probably depict them as odd, weird, and funky, but that is a natural first reaction. Those that approach the wine with an open mind quickly discover its serene allure. If you want to avoid a shaky start, opt for natural red wines that taste the closest to conventional products you are probably used to. White wines, on the other hand, tend to have a riper, honey-like flavor, as well as a creamier texture. Just bear in mind that hedonism is not the only reason to turn a new leaf. Organic winemaking brings benefits for the environment and also preserves your good health and well-being: Heavy machinery is not used to harvest the grapes and pesticide residue doesn’t end up in your mouth. I would say that trying a prime-quality organic wine for the first time is a transformative experience, one that opens new doors and helps you make a broader positive change in your life and the world around you. A wise man once said that simplicity is the ultimate form of sophistication. Well, organic wine is the best proof of this, as it is reduced to its simplest form. It turns the entrenched notions and practices of winemaking on their head. It may not be for everyone, but know that you have a chance to enjoy wine in seminal form, just the way Mother Nature intended. So, pick the organic wine from the shelf and feel the pristine heaven in your mouth. Sow the seeds of a better and greener future.